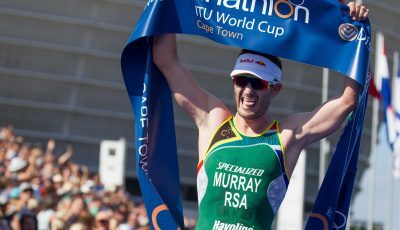 The new World Cup season is now underway following what proved to be a superb sprint triathlon in the Cape Town sunshine. The athletes looked keen to put all their closed-season training to the test and get 2018 officially up and running, and what a pair of races they delivered. With huge crowds turning out along the route to add some classic South African atmosphere to proceedings, the scene was set for another Cape Town classic, and it was to be Vicky Holland and Richard Murray’s day. The women got proceedings underway, launching into Cape Town harbour for the one-lap 750m course. It was a brilliant swim from Hungary’s Zsanett Bragmeyer that set the pace, seeing her first out of the water followed by Portugal’s Melanie Santos. 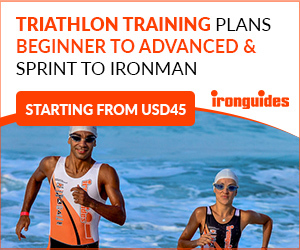 In her first ITU race since Yokohama in May of last year, when an injury took her out of the field for nine months,Vicky Holland was showing no adverse effects of the lay-off, emerging alongside teammate Non Stanford and onto the bikes in the lead pack. 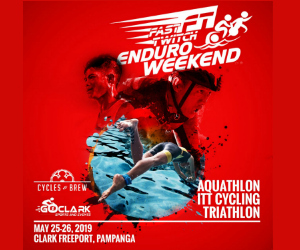 Among the names coming out behind them were Chelsea Burns and top-ranked Rachel Klamer looking to make up the gap on the bikes. Across the four flat but technical laps of the Cape Town stadium, it was the front seven who made the most of the tight course and were able to extend the advantage. By the bell, the gap had opened up to almost 40 seconds, and the British duo looked in control. Having negotiated T2 without incident, Holland kicked on in the heat. Only Japan’s Ai Ueda was able to conjure up a faster run time to assure herself of a top ten finish, with Non Stanford set in second place to make it a GB one-two for the second year running following Lucy Hall and Jessica Learmonth’s success twelve months ago to the day. It was a delighted Zsanett Bragmeyer who made it across the line in third, ahead of Japan’s Juri Ide and Rachel Klamer. 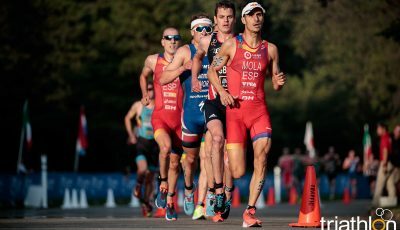 The corresponding men’s race last year produced a perfect podium for the South Africa team, but this time around the likes of Jonas Schomberg and Joao Pereira were determined to make their presence felt. It was Richard Murray who again emerged first out of the water, however, only to then struggle freeing himself from the wetsuit and losing ground, compatriot Henri Schoeman assuming the lead onto the bikes. Belgium’s Christophe de Keyserand Germany’s Schomberg ensured they were also in the lead group of bikes, ahead of a huge chasing pack. After two laps of Cape Town stadium, Netherlands’ Van der Stel had negotiated his way to the front of the eleven-strong group, the train led by Grant Sheldon (GBR) doing its best to stay in touch. It was Schomberg who then exited from T2 in pole position with Israel’s Sagiv and Alster working well together, but Murray was in position to seize the initiative. With Schoeman and Austria’s Lukas Pertl giving it everything to stay at his heels, Murray kicked on to the delight of the home crowd, crossing the line in a time of 52:15 and earn another World Cup win on home soil, Pertl delighted with his first ever World Cup podium.